A group of 29 organizations led by digital rights group Access Now on Wednesday announced the formation of the Fly Don’t Spy campaign, which opposes “extreme vetting” tactics requiring travelers to provide social media passwords in exchange for entry. 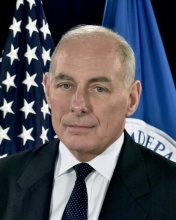 The campaign specifically opposes Kelly’s February statements that the department is looking into a wide range of extreme vetting options, and urges consumers to sign a letter to Kelly opposing the vetting. The letter also argued that such searches would disproportionately affect innocent travelers, since terrorists and criminals would likely take precautions by carrying a different phone with decoy social media accounts.